Well Bailey those lines might be blurry but I can tell by your bright blue eyes that you’re seeing them purrrrrfectly!! 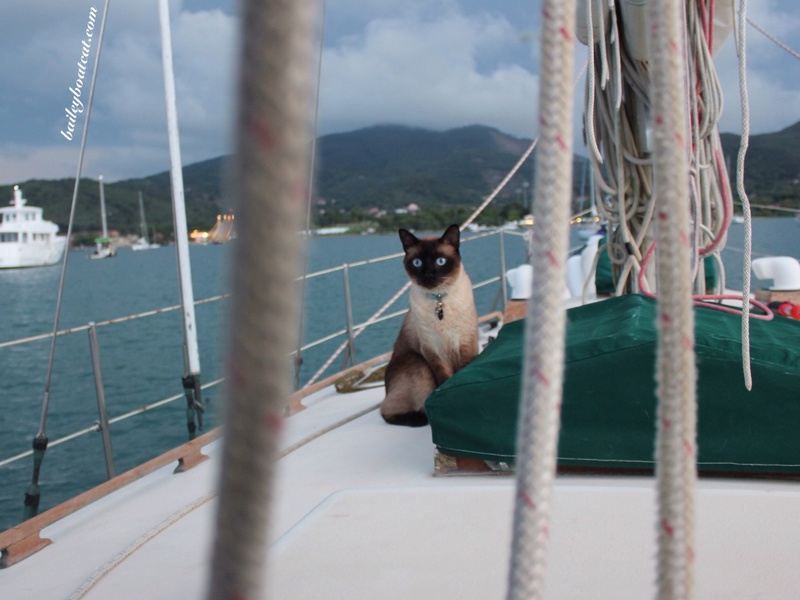 Your boat cat blogging always gives me a grin. Happy Sunday. Blurred lines to us, I’m sure not to you, Bailey! All I sees are a handsome kitty! But you’re very clear, Bailey! Love the eyes. Very intriguing looking. Now, that picture captures the real you. Smart as a whip, handsome and oh, so sociable. Nuffin blurry fer me Brofur Bailey! Yer rite in focus sweet boy!